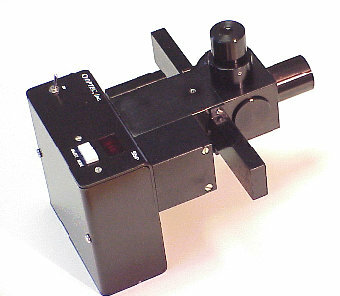 Optec has been making the SSP-5 and 5a high-precision stellar photoelectric photometer for nearly 20 years. Recently, the SSP-5 has had a major upgrade to bring the technology up to current standards. The current model is considered Generation 2. The use of a photomultiplier tube (PMT) allows fainter stars to be measured accurately and the enhanced response time of 1 ms allows fast events such as lunar occultation to be recorded with greater time resolution. With the Hamamatsu R6350 PMT option, the SSP-5 response is a good match for the original 1P21 PMT and is suitable for the Johnson UBV bands. For researchers interested in greater low light sensitivity and extended red response to 830 nm, the R6358 PMT extended red response option is available. Each PMT is a 9-stage side-on low-noise photomultiplier housed in a small 1/2-inch diameter enclosure. The system is powered by a small 12V DC universal power supply. 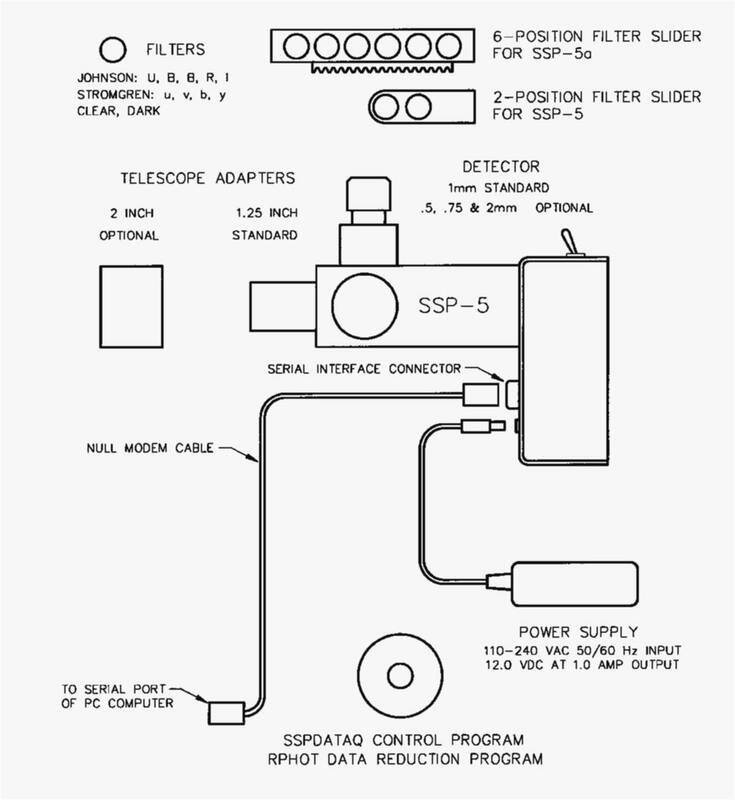 The SSP-5 Photometer is the central part of a complete stellar magnitude measurement system as shown in the system diagram below. This latest version of the SSP-5 features a serial output port for connection to a PC or laptop computer. An interface program called SSPDataq (freeware) is available with updated version found on the Optec web site. This program allows for data capture in any color and reduction of B and V magnitudes. The SSP-5 is intended for serious observers and it is recommended that the prospective user consult the SSP-5 manual fully before deciding to purchase. Click here to see SSP-5 performance diagram. Click here to see SSP-5 system diagram. 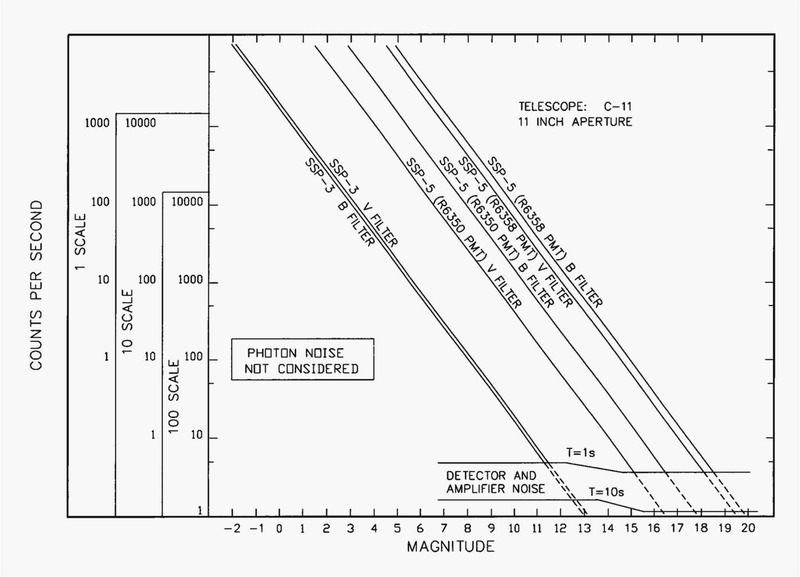 The SSP-5 is used through out the world for observations accepted by major astronomical journals. A small sample can be found below.